Please join us! Add a dollar or more to your monthly Duck River EMC bill, and help your neighbors in need who are unable to pay for their electric bills. Contact your local office for more information regarding the Project Help Program. 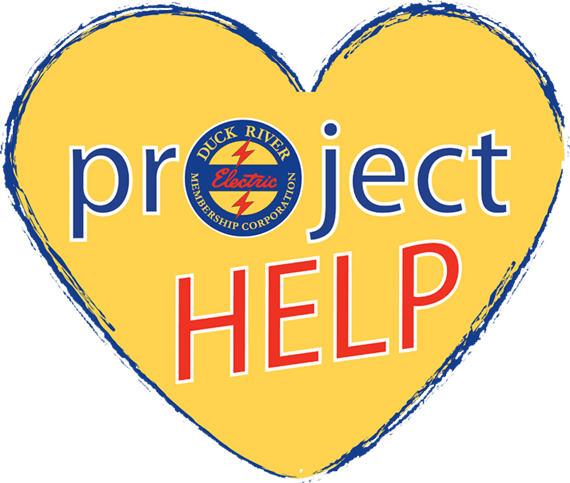 Project Help allows Duck River EMC members to contribute each month to those having financial difficulty paying their electric bills. All donations go directly to help those in need. You may also contribute with a one-time donation. Project Help is a voluntary donation program, and it is administered by third-party assistance agencies (shown below) across the Duck River EMC service area. Help us make a difference. Click here for a form to participate in the program. You may return the form to your local office. Thank you for joining us in helping those in need!